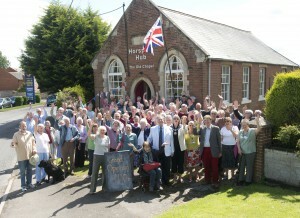 Friends of Horspath which is a St Giles initiative are encouraging the growth of a sense of Community in the village. As a key part of this the Friends established a fund-raising working group in order to purchase the Methodist Chapel as a valuable village asset. This was a once and only chance to secure this historical building. 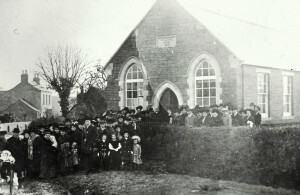 It will add to, and complement, not compete with, the facilities available in the village hall and indeed it will provide a safe pedestrian access to it. 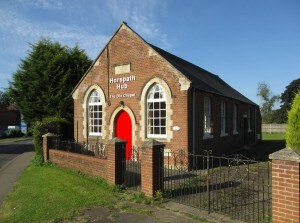 Thanks to the financial support of village residents and the backing of the Parish Council and District Councillors, substantial Community Funding was put in place to allow the Friends of Horspath to submit a bid to secure the purchase of the Chapel for use by the whole village community. In late August after putting in a sealed bid the fantastic news came that the Friends had been successful, but it wasn’t until January 24th 2014 that keys were handed over and The Friends could get to work on making the building useable for as many groups as possible. At the moment events include: Yoga and Move and Stretch cTai Chi, Table Tennis, Yoga, Chair Yoga, Painting and Drawing, Horspath Garden Club and EVERY FRIDAY MORNING: Tea Coffee and home made cakes along with the new Village Post Office. (and hopefully Pilates and Tea Dancing as well). Classes on Wednesdays, Painting for the experienced and beginners on Thursday mornings and a Knit, Stitch and Craft group on Monday mornings. A cafe is open for all on Friday mornings 10.30am til 12.00 with a Post Office. It is hoped that more groups will emerge and many more activities and Events will take place. 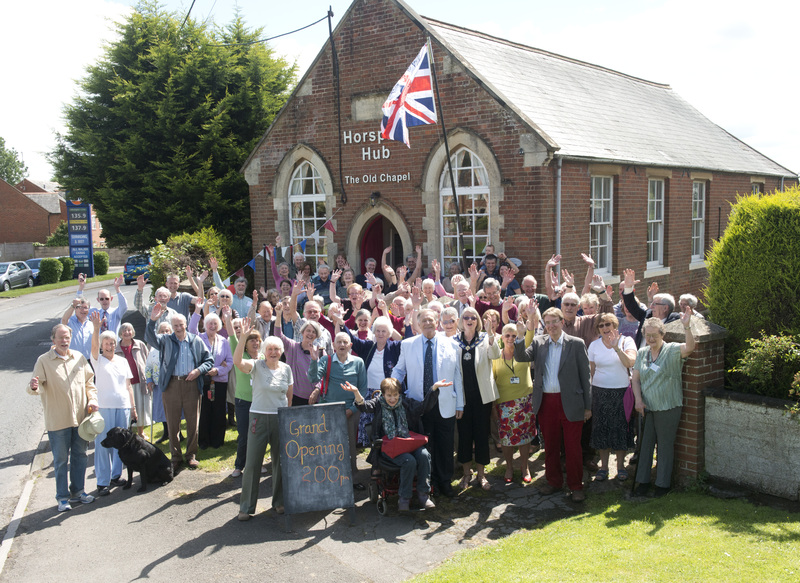 Saturday May 7th 2014 was the grand opening of Horspath Hub. FACILITIES – Horspath Hub has the main hall, a committee room, entrance hall, and well appointed kitchen. It is wheelchair accessible with a fully fitted disabled toilet as well as another toilet. The Main Hall is 55 square metres, with a capacity of up to 50 persons seated or 70 persons standing. It is ideal for a range of events from larger meetings, parties and weddings to aerobics, dance classes and yoga. The smaller Committee Room can comfortably seat 12 persons or have 17 persons standing, and is perfect for smaller meetings, and get-togethers. Both rooms have tables and chairs, plus the main kitchen is fully equipped with an electric cooker and hob, fridge, dishwasher, water heaters plus crockery and cutlery. CONTACT US – by phone: 07591 933 964; by email: community.hub@horspath.org.uk. 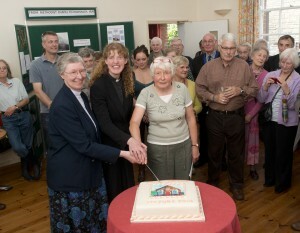 Address: Horspath Hub, The Old Chapel, The Green, Horspath, Oxon OX33 1RP. Friends of Horspath Registered Charity number: 1152667.